7972 Glenfinnan Cir, Fort Myers, FL.| MLS# 217073132 | Southwest Florida Residential Real Estate for Sale. 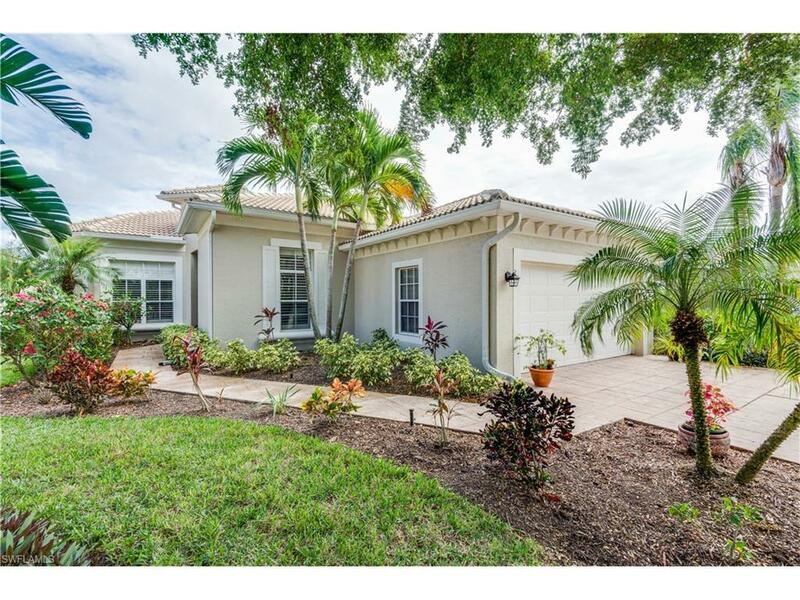 LOVELY HOME-FIDDLESTICKS COUNTRY CLUB, FORT MYERS, FLORIDA 7972 Glenfinnan Circle; 2300+ sq ft; 3 Bdrms; 2 Â½ Baths; Living Room; separate Dining Room; separate Den; Laundry Room. Pool and Hot Tub within screened Lanai. Wood Shutters throughout; Granite Countertops; Stainless Appliances; Custom Interior Paint; new A/C; oversized Two Car Garage; 11 Foot Ceilings throughout ; numerous Ceiling Fans; Master Suite includes dual walk-in closets, walk-in shower and separate bathtub. 1 Year American Home Shield Warranty. Fiddlesticks Country Club offers Fine Dining, Security, 2 Excellent Golf Courses, Excellent Fitness Center, Quality Tennis Courts, New Pool and Cabana Area with Outdoor Dining. Owner may own and play in personal golf cart with applicable trail fee. Fiddlesticks membership required-$50, 000 with $1 returned when sold. No CDD fee. HOA dues $300/month-includes yard and irrigation maintenance and an additional community clubhouse and pool.